Deep penetration for big game. 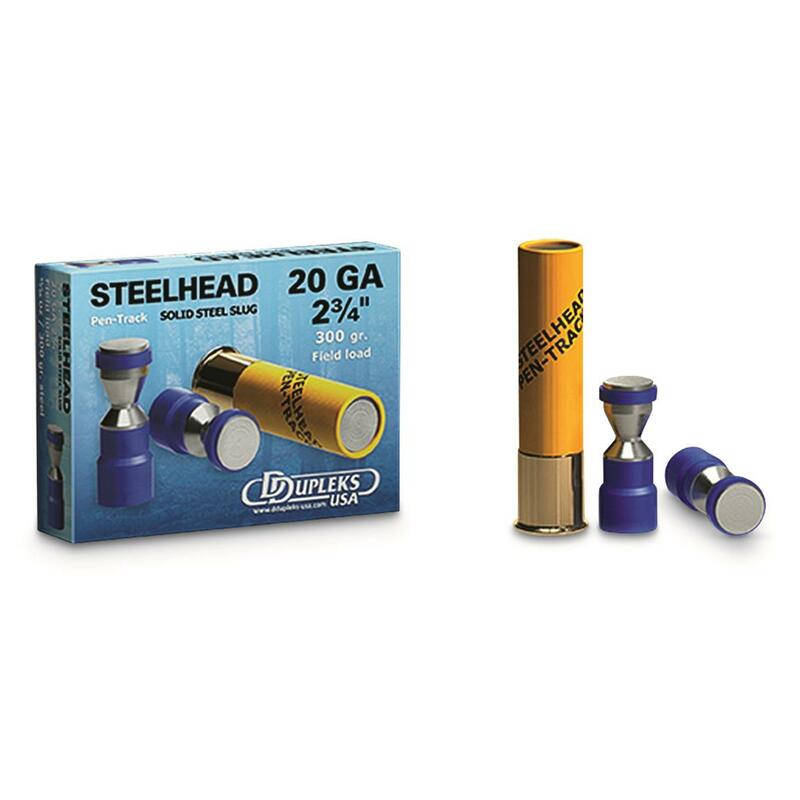 D Dupleks Steelhead Pen-Track Slugs are perfect for hunting overgrown areas where increased stability and resistance against all obstacles is paramount. These Slugs feature friction-reducing polymer bearing bands, ricochet-reducing sharp edges, an aerodynamic shape, a polymer wad column and solid steel construction for deep penetration and maximum energy transfer.